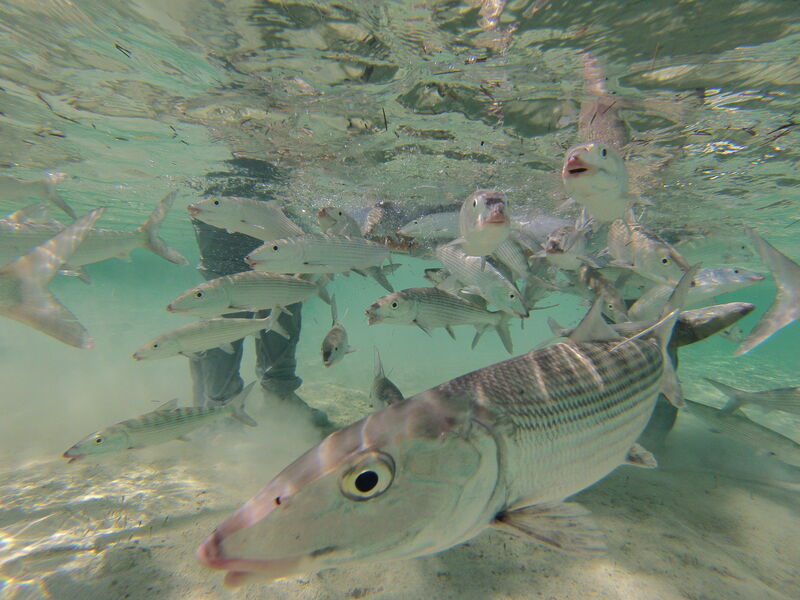 Freshly tagged bonefish being released. The 26.5 inch fish tagged and released by Flats researchers. 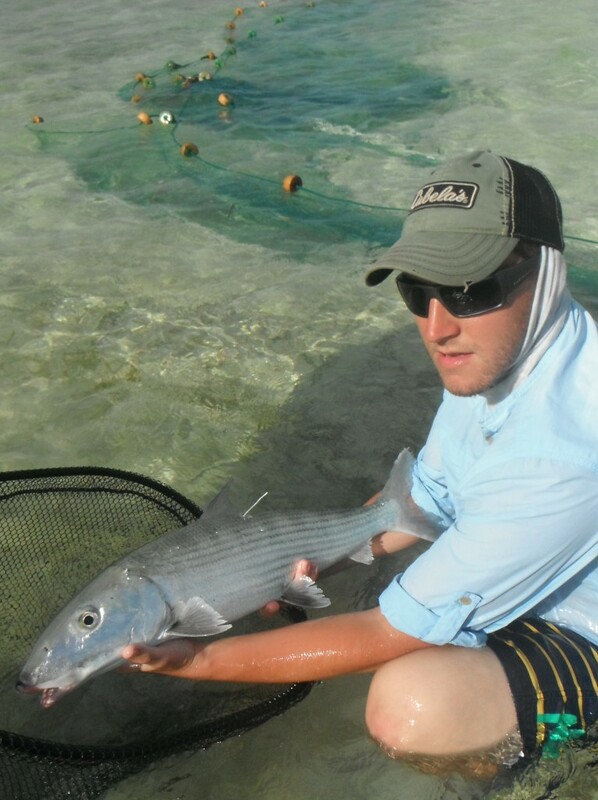 Note the white tag near the fishes’ dorsal fin, containing an individual number and contact information for reporting when, where, and who recaptures this fish. Previous PostA busy week with The Island School Research Symposium and Parent’s WeekNext PostWould you like to own a piece of deep sea history?